Ngāti Kea Ngāti Tuara descend from two important women – Kearoa and Tuara. Kearoa was the wife of Ngatoroirangi, tohunga and navigator of Te Arawa waka and a rangatira in her own right. Tuara was a descendant of Ika who was also on Te Arawa waka. The two lines of descent come together in the union of Te Rangiwahitu and Te Uira. Ngāti Kea Ngāti Tuara first came to Horohoro over five hundred years ago led by Te Aokawhai. Some years later his grandson Haukapuanui led a group which conquered Ngāti Kura-Haumia on the Patetere lands to the west and Ngāti Kea settled there. Ngāti Tuara settled on lands at Tihi-o-Tonga and Tarewa and, over time, Ngāti Kea and Ngāti Tuara came together as one iwi. The bush country around Horohoro provided lots of food: birds such as kererū, kākā, and tūī, fish and waterfowl in the streams and waterways, and plants such as pōhue, and aruhe. The ancestral lands of Ngāti Kea Ngāti Tuara surround our maunga Te Horohoroinga o ngā ringa o Kahumatamomoe. These lands once covered at least 45-50,000 acres from the base of Horohoro maunga, north to Tihi-o-Tonga and Tarewa, west across the rugged and deeply gorged bush lands and the high plateau of Patetere from Te Moana to Pukaki, south across the plains to Te Uraura, near Tokoroa, east to the peak of Tikorangi, across the Matahana basin and around the southern end of the mountain back to Horohoro. Today we have about 4,000 acres of land left in hapū ownership and of that about 2,500 acres is in farm land and forestry. 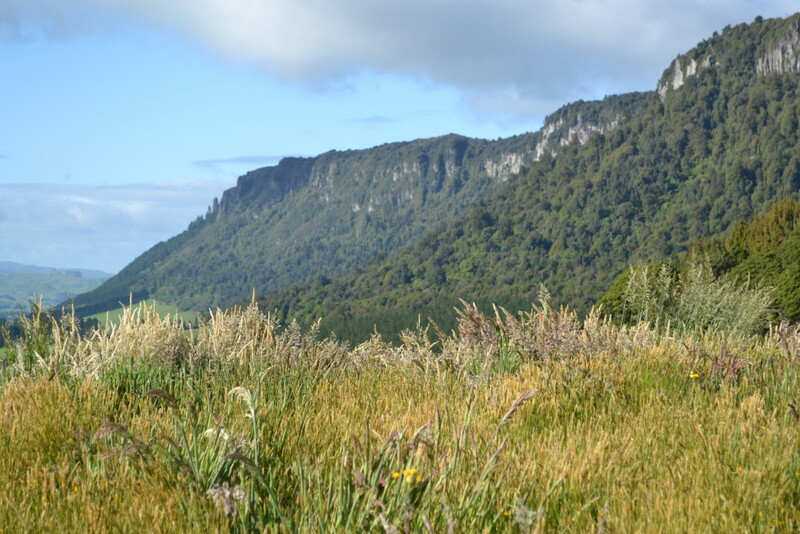 Ngāti Kea Ngāti Tuara have set aside 1,500 acres on Horohoro maunga as a bush reserve. Ngāti Kea Ngāti Tuara, as an affiliate of Te Pumautanga o Te Arawa, is working to regain some of our traditional lands as part of a Treaty of Waitangi settlement. Ngā Kōrero o Ngāti Kea Ngāti Tuara – booklets containing a more detailed history are available from the Rūnanga office.